Reprint. Originally published: as by Karen Wallace. 2001. 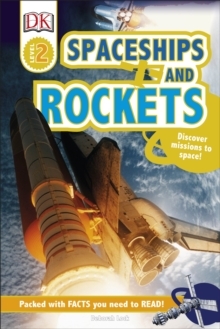 DK Reads Rockets and Spaceships is part of DK's three-level reading scheme to get kids reading and learn how to read at home. At the "Beginning to read" level, DK Reads Rockets and Spaceships is ideal for children beginning to read for meaning, decoding and recognising words. Blast into space with the latest and greatest rockets and spaceships. Watch a rocket roar into the sky, explore all kinds of space vehicles, and find out what it's really like to ride a rocket. Levelled into stages, DK Reads is to designed to help every child progress their reading skills and become a confident reader. With engaging stories, exciting images and interactive elements, including recipes, questions, diary entries and more, this series appeals directly to kids.